Here is a question I just answered: I have 600 cells all in one column. 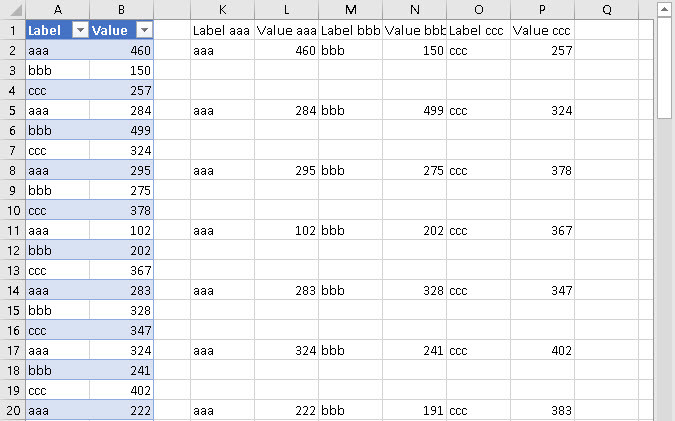 To the left of that I have 3 repeating entries to label each cell. What I would like to do is transform the one column into 3 columns. One column for each label while keeping them linked? I’ve got two solutions for you. Solution one works but it is not as smart as solution two. If you have never used Power Query before you are in for a treat, see solution two for that. Now, select the range of cells K2:P4 and fill down to the end of your input table. 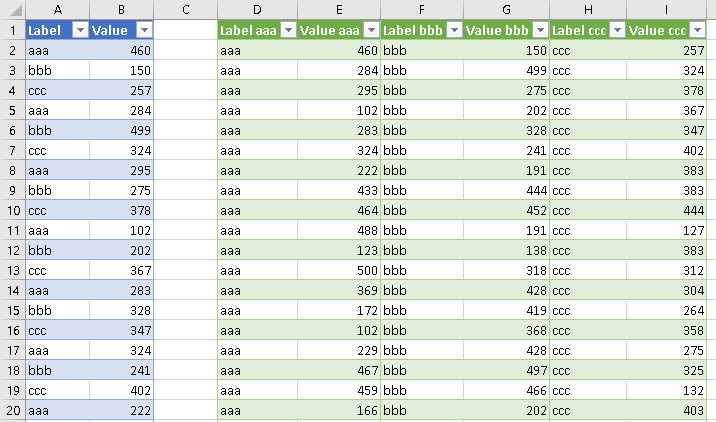 You should have exactly what I show here … columns K and L contain only aaa data … all linked to the input or source. Unfortunately gaps between the rows. If you add new data to your Excel table, you need to fill down in your output range to include them there. Since you have used an Excel table as your input, when you add more data to it and refresh the query, it updates AUTOMATICALLY to include whatever you did!